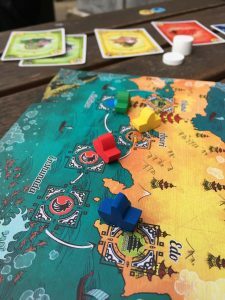 Traders of Osaka, Card Games, Quick Games, New to Games? Quinns: Today we finish our review triplet of games set in Japan! First we had the beautiful, and beautifully clean design of Samurai. Next was the grand old game of Shogun, which was no less impressive. 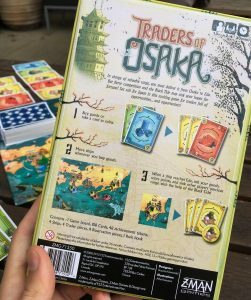 Today we look at Traders of Osaka, a small box game that was actually designed in Japan by one Susumu Kawasaki. And today I want to talk about yet another kind of beauty. 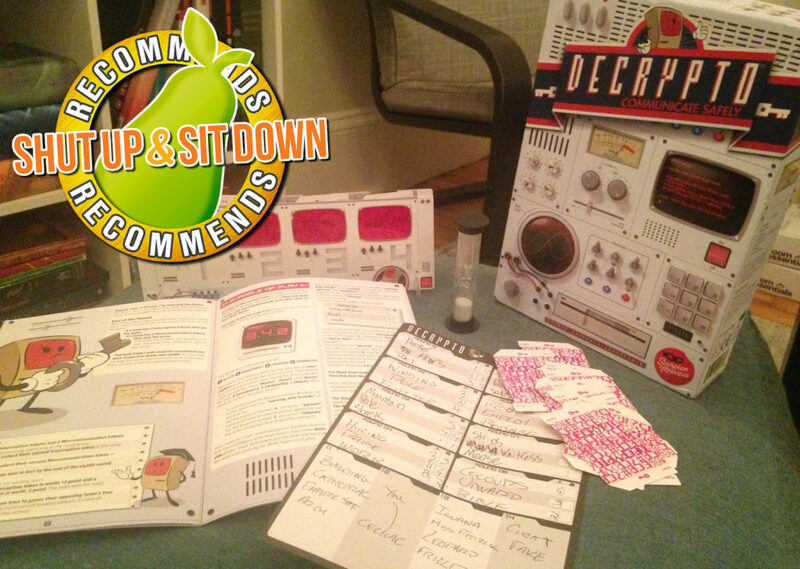 I don’t say this enough, but one of my favourite things about board games is that each one feels like receiving a shrink-wrapped idea, direct from the designer. 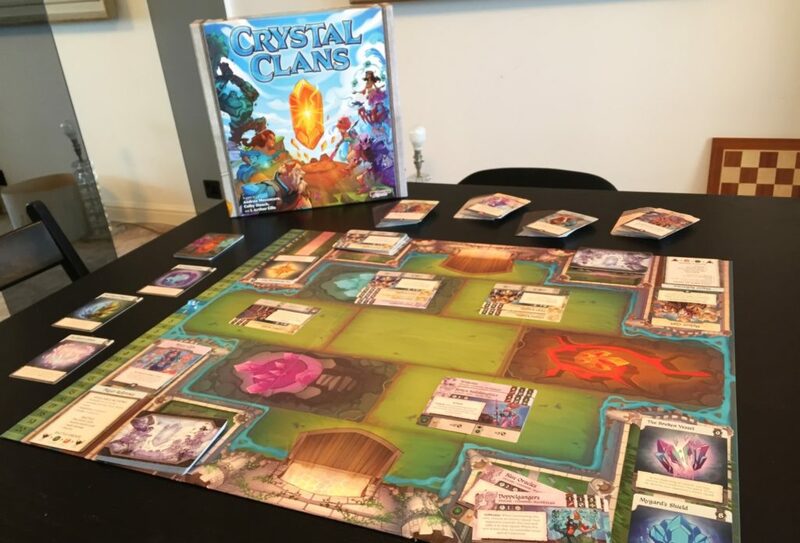 I’ve called board games a “lossless” format before, meaning that unlike trying to write a novel or make a videogame, in the creative process of making a board game you can directly transmute the thing you have in your head into a real, physical box. It’s because of this that even bad board games (no- especially bad board games) have something intensely personal about them. The difficulty with designing board games is, of course, making sure they arrive in one piece at their destination. That players can unpack them, study the documentation, and enjoy themselves as you intended. 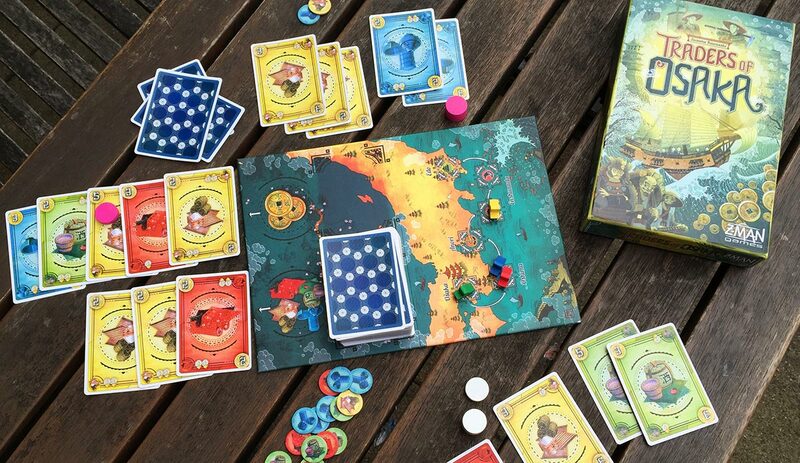 So it’s fitting that Traders of Osaka is a game about shipping handicrafts across treacherous waters. As you hold this box, you’re holding Susumu Kawasaki’s beloved idea, designed in Japan, manufactured in China, handed to you by some dutiful postman. Did it get here in one piece? As is the rule for all great small box card games, Traders of Osaka tasks you with buying and selling cards depicting goods. A central market is laid out with some 5 cards, and above it is a reserve of 3 cards so that you have some idea of what’s coming up. On your turn you can either (A) pluck a card from the market and add it to your hand, thereby gaining its gold value, (B) discard cards from your hand until you’ve paid for the entire market, and slide all those cards in front of you as goods that you own, or (C) place your reserve token on a single card so that nobody can buy it except you. 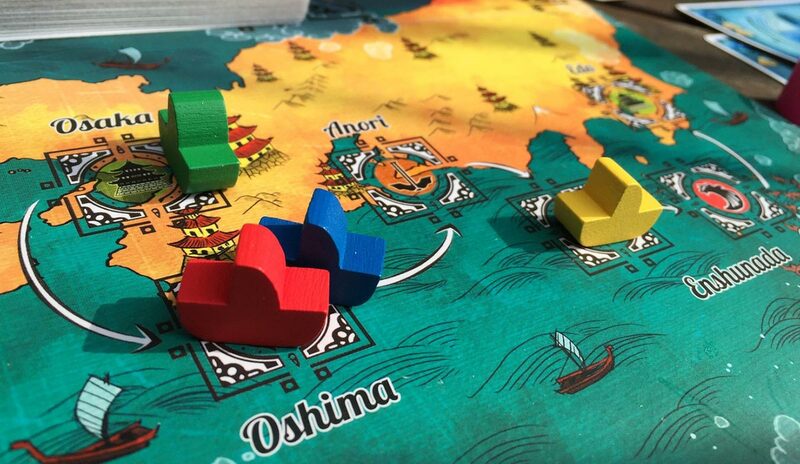 Goods come in four colours, and on a central board are four matching wooden ships that are going to try and travel from Osaka to Edo, a journey that has a comparable feeling of optimism and % success rate to throwing a drink bottle at a bin from across the room. Whenever someone buys all the goods in the market you advance each coloured ship that many spaces, and when (for example) the blue ship reaches Edo, everybody converts every blue card they’ve bought into victory points. But wait! There’s a twist in this game, waiting to lash out at you from the sea like a squid’s slimy tentacle. 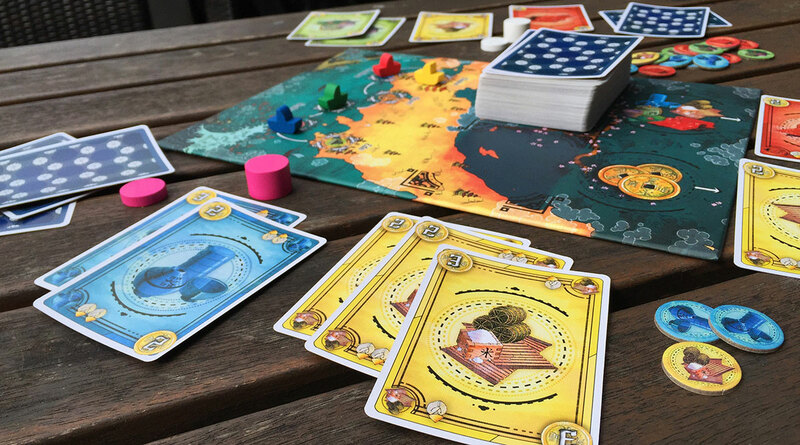 When one or more ships make it to Edo, any ship on either of the nearby “Black Tide” spaces are sunk, and all players lose all cargo of the colour of the sunk ship UNLESS they can panickedly ditch cards from their hand with an “Insurance” symbol to save some it. Since ship movement is controlled by all players, you want to buy the same colour of cargo that your friends have invested in, since they’ll be invested in making the ship arrive, too. But then once two or three of you have gone in heavily on, say, blue cargo, everybody else will in turn be invested in sinking that boat. Traders of Osaka’s final rule is a dose of risk/reward, splashed atop the game like so much soy sauce: The victory points you get on delivery of cargo is equal to the highest value card PLUS one for each token you have for previously delivering that colour of cargo, MULTIPLIED by the total number of cards you’re delivering, divided by 5 and rounded up. Which is a hideous house spider of a mathematical equation to discover in a ruleset that was previously quite placid, but you get the hang of it quick enough. The point is that you get exponentially more points the more of the same colour of cargo you deliver, both in the long and short term. The mathematical question of how much more valuable this makes a given card is a process that runs in the background of your head for the whole game. How does it all come together, then? Is Traders of Osaka gut-busting, table-slapping fun? Of course not. 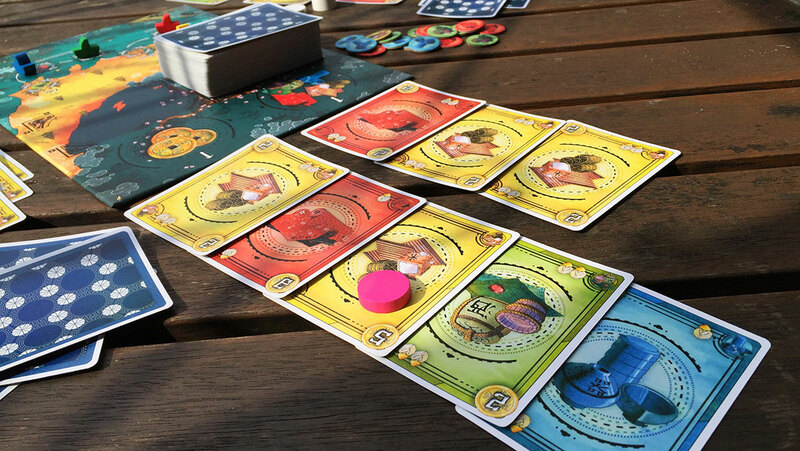 It’s going for the other thing- the kind of easy-going, lazy afternoon, set-collecting magic that led to us wholeheartedly recommending Jaipur and Mundus Novus. All three of these games drastically limit what you can do so as not to tax you too much, but ensure that everything you can do is satisfying. In Mundus Novus, this structure was capped by the possibility of some plays that are so dramatic that they instantly end the game. In Jaipur it was finished with your opponent getting to gleefully pop your plans like a balloon. What’s Traders of Osaka’s special flavour of set-collection? Quite aside from the fact that it looks absolutely gorgeous (I have to take a second here to tell artist Atha Kanaani that you knocked this box out of the park and into space and into a black hole and the whole Milky Way lit up like a pinball table), Traders of Osaka’s “thing” is that half the time players are making moves that radically affect everybody. When you elect to buy the market it’s like you’re stepping into a spotlight. You take possession of all those goods, you move the ships for everybody, and in hoarding all those new wares you cause all your friends to recalculate what colours they should be investing in. But even your lesser plays are still interesting- in reserving or picking up a single good, you’re pushing the cost of the market down. You’re making your friends think. Which is obviously perfect for an easy-going card game (yes I know it’s technically a board game but look seriously it’s a card game I will fight you), and I’m happy to say that everybody’s enjoyed themselves every time I’ve gotten Traders of Osaka to the table. …But it’s also not a Jaipur or a Mundus Novus, or Condottiere or Citadels, and it’s certainly no Love Letter. 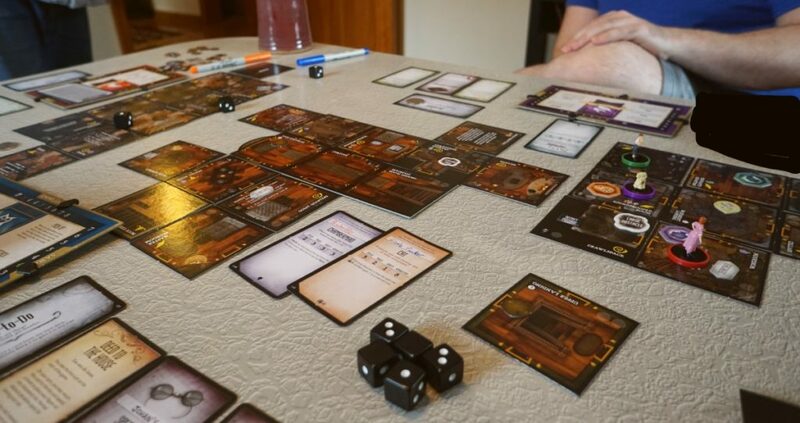 It provides all of the background comfort you want in a quiet card game, but forgets that sometimes you need to break out of that. A laugh here, a surprise win there, anything at all for players to chew over or remember. I really like this game, and I’d happily recommend you buy it as a beautiful edition of a very strong game. But a fear dwells within me. It’s my business to travel these waters, and I’m not sure this game will make it to Edo. 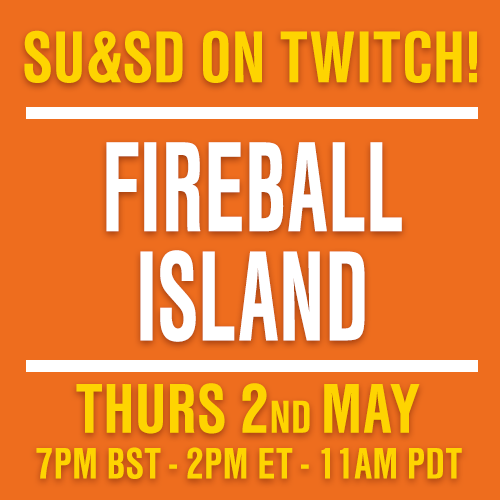 I have a feeling the black tide will swallow it up without a trace. “Remember Traders of Osaka?”, I’ll ask you lot in five years. And I’ll turn to the prow of my boat, squint at the setting sun, and nod.